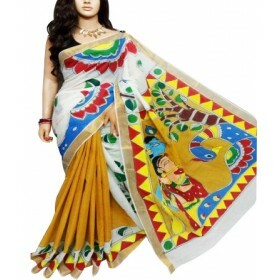 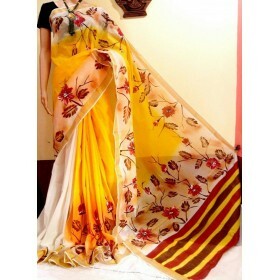 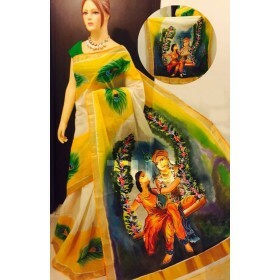 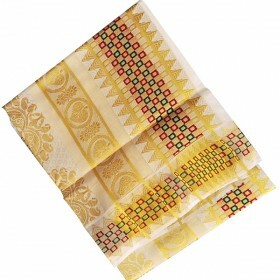 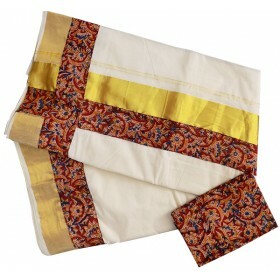 This Kerala Tissue Saree with Gold border has leafy Patch and beats work on the pallu and.. 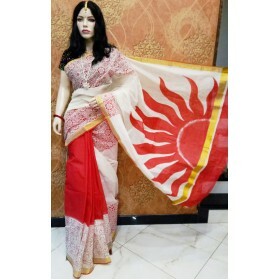 It is an elegant Golden, red and green thread work handloom cream Kerala saree from Malabar shopping..
Gorgeous traditional Kuthampully tissue silver Kasavu Saree from Kerala is a superfine Musterized co.. 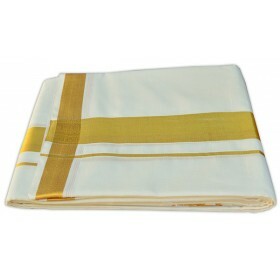 Simple cute Kerala traditional kasavu saree with off white color having golden thick zari border alo..
Kerala double mundu having off white colour with border combination of grey line on the front side. 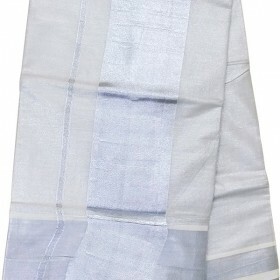 On the both sides thin light shaded grey border which makes it gorgeous. 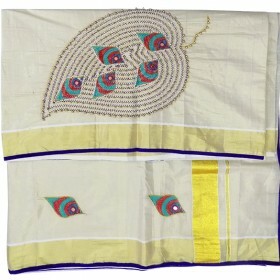 It will be your perfect partner in every traditional function to glam up you. 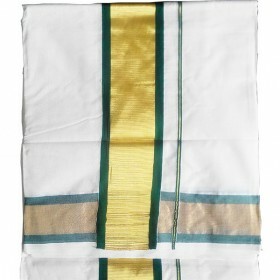 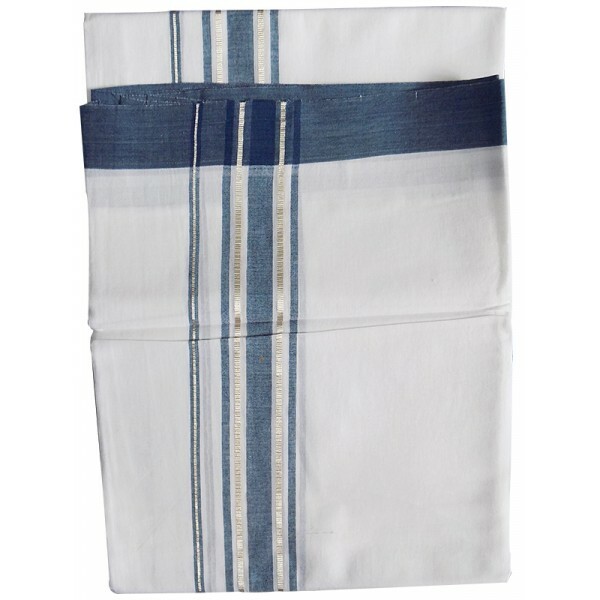 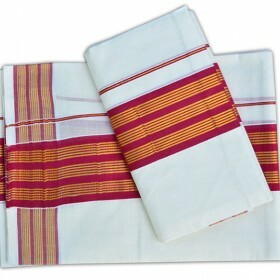 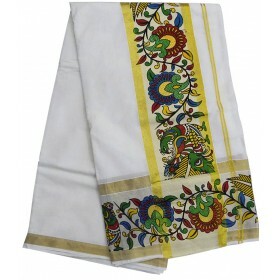 This is a pure cotton handloom mundu for men’s to spell the feel of tradition.